We established the Maximilian M. Watson Trust to raise funds for Max's ongoing medical and personal expenses. Max's annual medical expenses routinely exceed $250,000 per year. On some years, Max's medical expenses have exceeded $1.5 million dollars. While most expenses are paid through private insurance and Medicaid, there are still many expenses that are not met by any current program. 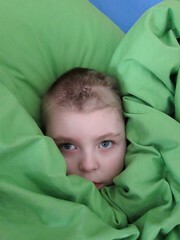 If you would like to contribute to support Max's ongoing medical and personal needs, please go to the Contribute page for additional information.